An astounding 15 million Americans have crowns to restore broken teeth, reports the American Academy of Implant Dentistry. 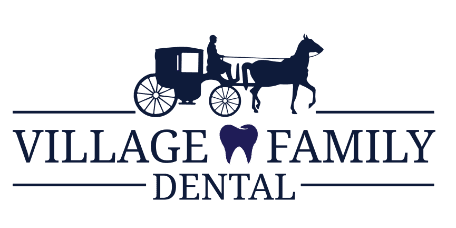 At Village Family Dental in Clemmons, North Carolina, the experienced team of dentists fit you for a crown or bridge to improve your smile and confidence. Call Village Family Dental to book an appointment, or schedule one online today. A crown is a piece of metal, plastic, ceramic, or porcelain that covers a damaged tooth. It's crafted to look like the original tooth and can enhance your tooth's appearance and stability. A crown acts as a protective covering and is sealed in place with dental cement. Whether you need to improve the look of your smile or the functionality of a tooth, talk with your dentist to see if a crown is right for you. The type of crown that’s right for you depends on many factors. Stainless steel is often used for temporary crowns and is incredibly durable. Prefabricated stainless steel crowns are commonly used for children who require crowns on baby teeth. Metal crowns are strong and can withstand the force of biting and chewing. However, due to their striking color, they're commonly used on teeth in the rear of the mouth. Porcelain-fused-to-metal crowns are more aesthetically pleasing than stainless steel crowns. However, the metal portion of the crown might be visible as a dark line close to the gums, and the opposing teeth might see more wear than with other types of crowns. All-ceramic crowns are the best choice for patients with metal sensitivities. Resin crowns are some of the most affordable crown options but are also more susceptible to cracking. A bridge is used to bridge the gap of one or more missing teeth. This dental device consists of two crowns that attach to your teeth, and an artificial tooth in the middle to fill in the empty gap. Your dentist can surgically insert a dental implant into your gums to support an artificial tooth. He uses a bone-grafting procedure, which involves grafting bone from another area of your body onto your jawbone to secure dental-implant placement. How are dental crowns and bridges placed? The majority of the time, two appointments are required to complete dental-crown or dental-bridge procedures. During the first appointment, your Village Family Dental professional takes X-rays to determine the health of teeth that require crowns or bridges. Next, your dentist administers anesthesia, and files down or builds up the tooth prior to crown placement. Your dentist might also insert a dental implant to secure a bridge. He takes an impression of your teeth, which is sent to a dental lab where a custom crown or bridge is created. Your dentist fabricates temporary crowns to safeguard your teeth until a permanent crown or bridge is ready for placement. If you’d like to find out if a crown or bridge is right for you, contact the experienced dental professionals at Village Family Dental or make an appointment online today.